The price for sweeping 1 chimney which includes a visual inspection of the installation and free smoke test is £50. This price is for a standard sweep, which applies to chimneys that have been swept regularly, with reasonable access. Chimneys that have been neglected for several years or who have issues with access can take longer so additional costs may be charged. The above price is for properties within approximately a 20 mile radius from my house (S65 2HY), I do work further afield but please telephone or email for a different price. For appointments please telephone me to book, if you leave a message I will call you back. I will answer any enquires by email but appointments can change by the minute so if you wish to book an appointment please either give me a call or email/text me your number and I will call you back. 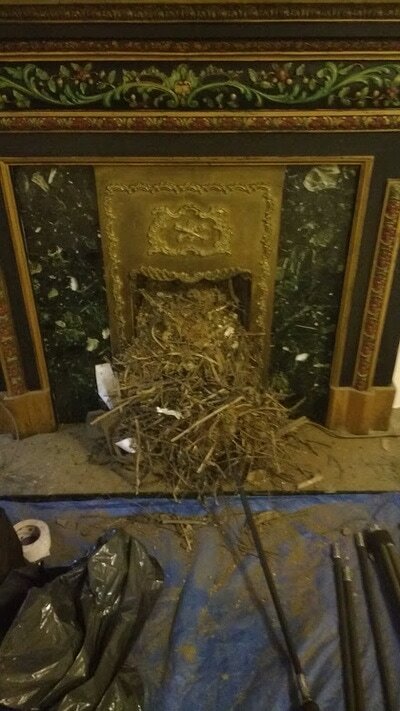 Nest removal is more involved than simply sweeping a chimney, first of all I have to remove the nest, which can be physically hard work if there is a lot of nesting material, in fact in extreme cases a chimney can be filled from top to bottom. Then I have to sweep the chimney, after that I have to cctv the chimney to ensure all nesting material has been removed, if it hasn't I have to keep at it until all the nest has been removed. Finally I do a smoke test. 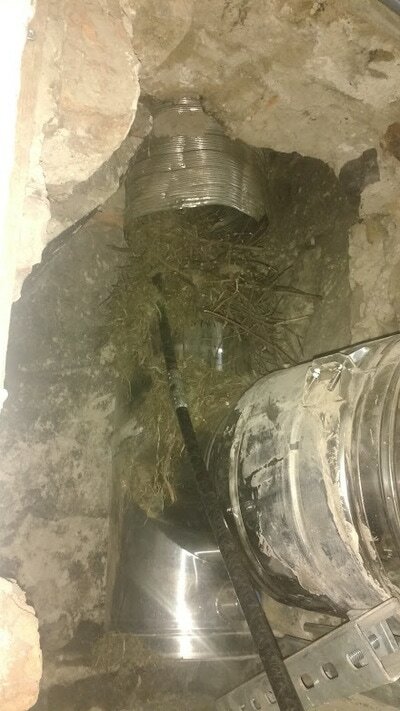 The price for this nest removal process is £50 for the sweep and £50 for the nest removal/cctv (£100 total), that covers you for 2 hours, if the nest takes longer than that (99% of the time I get them out within 2 hours) then a flat fee of £40 per hour applies. 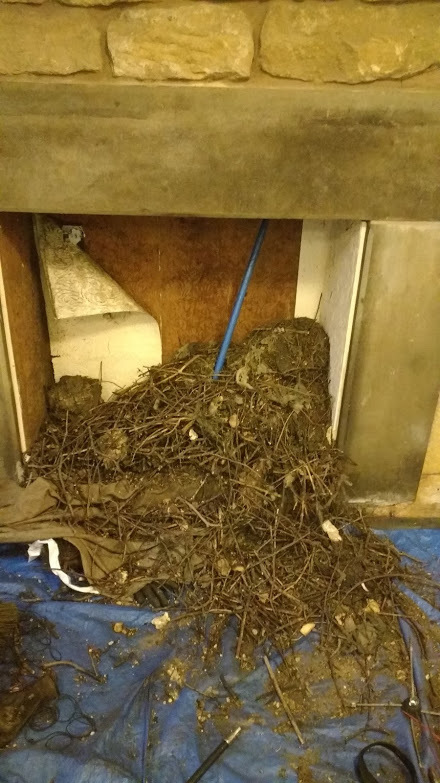 Birds nests aren't the pretty little things you see on Christmas cards, see below.